Some days I feel like Juan looks here. Sweaty. Exhausted. Distracted. In need of a beer or two. This picture came from Juan's time in Chicago, where he pitched from 1961-1966. 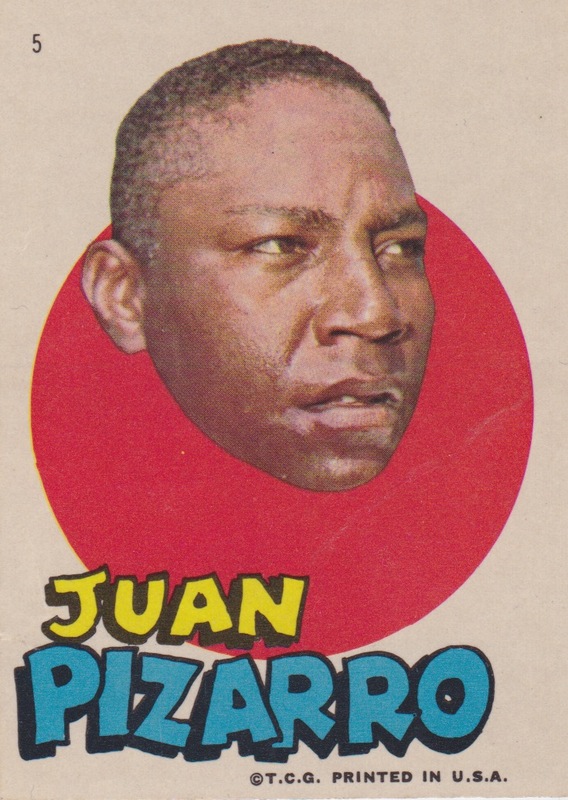 He spent 1967 and part of 1968 as a Pirate, but Topps might've designed this set after his trade to Pittsburgh and prior to the arrival of spring training photos. Using a hatless picture of Juan for this blank-backed sticker doesn't give a type collector much to go on for identification; no team name, no logo, and no bio. 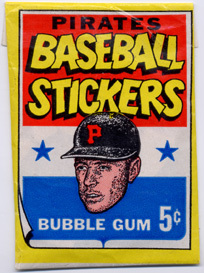 It's actually one of Topps' many 1960s "test sets," targeted at the Pittsburgh area and sold in separate wax packs. All 33 stickers feature Pirate players or team insignia and are important finds for Clemente and Stargell player collectors, HOFers who appear twice in the set. Find its full checklist at PSA and also see my profile of a similar set for Red Sox fans. 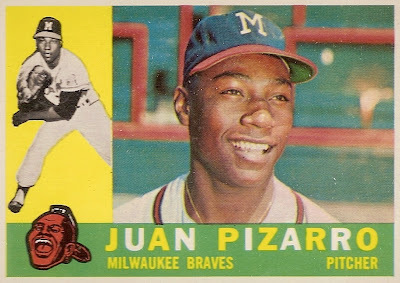 Topps caught a happier Juan in his Milwaukee days, as shown on 1960 #59. They could've re-run this shot each year for a decade straight and done OK by themselves. Value: This mid-grade sticker cost $5 on eBay a few years ago. Expect Clemente and Stargell stickers to run many times that. Fakes / reprints: Don't know of any in the marketplace, but it's a risk that some exist, at least for Clemente. I recommend buying scarce type cards from a reputable dealer, since they'll have more cards to compare potential reprints to.